Lately I’ve been a wee bit obsessed with wine language – perhaps unsurprising, given my penchant for both subjects. What set me off this time was reading a tasting note in which the critic described the wine’s aroma as “tannic.” I felt an irrepressible urge to clarify this, as it is totally incorrect. You can’t smell tannins. Or acid. Or sugar. Or alcohol. Using any of these words to describe a wine’s aroma is wrong, plain and simple (and it marks you as an amateur). These components are only detectable on the palate, as a sensation in your mouth. Certain aromas can make you anticipate a wine to be tannic (concentrated fruit, dark chocolate) or acidic (citrus fruit, vinegar) or sweet (candied fruit, butterscotch), but it is important to note that you aren’t actually smelling these components. Our tour in Champagne continued from Bollinger to the equally famous Veuve Cliquot, the Champagne house with the instantly recognizable orange labels. Veuve is located in Reims (pronounced as Ranz instead of Reems) and was founded by the young widow (Veuve) of Francois Clicquot when she was only in her late twenties back in the late 1790’s – the flagship Champagne ‘La Grande Dame’ is of course named in her honor. . She was also the inventor of the famed riddling table which is used to make the wines clear. Our tour was extensive, but in discussions, much to our surprise, we learnt that the ‘La Grande Dame’ only takes a few days to blend (as the fruit all comes from the 8 Grand Cru vineyards) whereas the NV blends will take the numerous winemakers months to find the perfect blend. 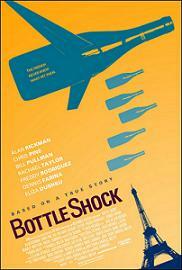 Bottle Shock is a crowd pleaser, and like all crowd pleasers it is mildly entertaining but doesn’t have a lot going on under the surface. It is certainly more akin to an average Gallo Chardonnay than an ethereal Chateau Montelena. I feel your pain. 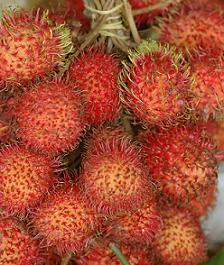 Just what, exactly, is a rambutan, and how am I supposed to pick this aroma out of a glass of wine, when I don’t even know what it is? 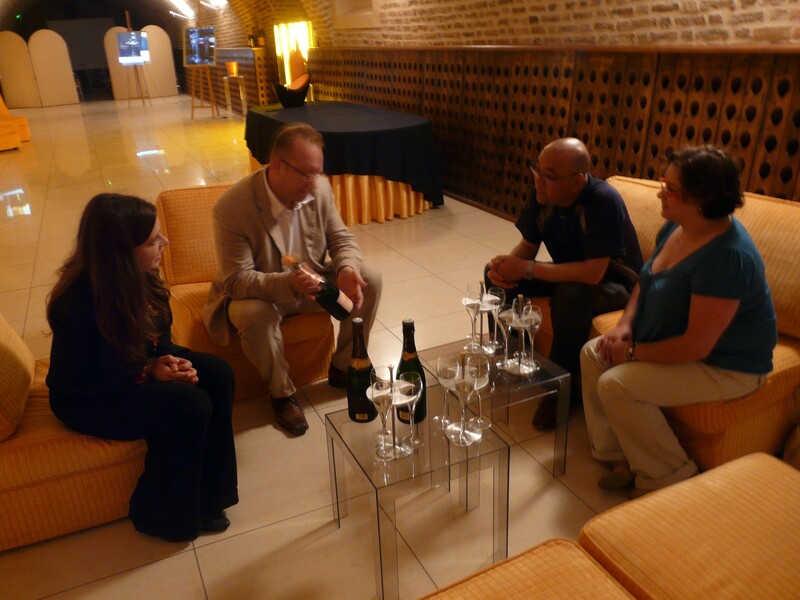 Our visit with Christian Dennis, the International Ambassador for Bollinger was a very special day indeed. Bollinger is one of the leading houses in all of Champagne, with an illustrious history dating back to the 1500’s and one of the few houses that remain family owned. Did we mention we love their bruts? Bolly produces a total of 2.5 million bottles (versus 20 million produced by Moet of Dom Perignon fame). 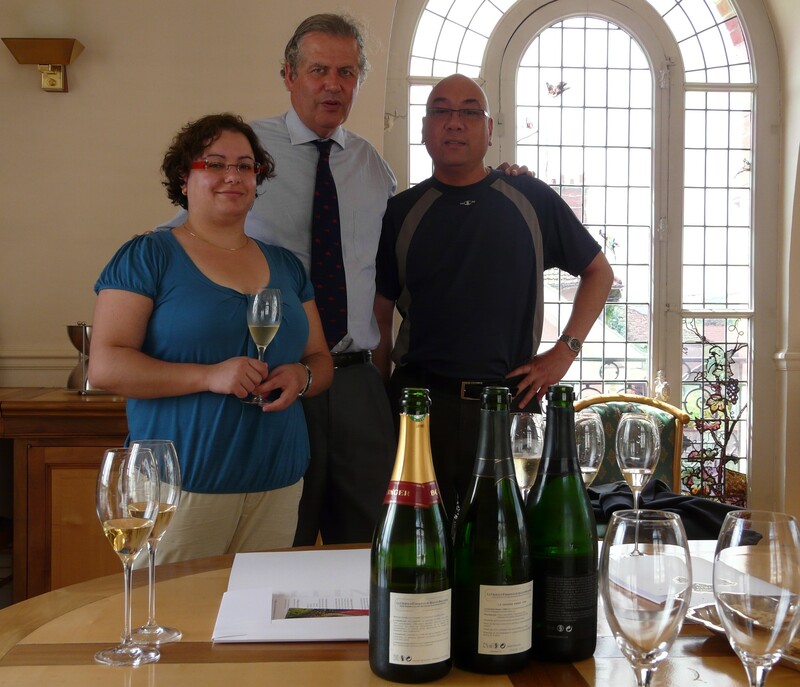 We all know of Bollinger’s vintage Bruts – Vieille Vignes Françaises, Grand Année and R.D. and the non-vintage Special Cuvée made famous by movie folklore as being James 007 Bond’s favourite bubblie. As we toured the two walled-off plots of Pinot Noir vines that survived the famous phylloxera attack that go into the ultra-rare premium Vieille Vignes Francaise bottling (the third vineyard in Bouzy succumbed in 2004), we began to get a glimpse of the great history and tradition behind this house. Bruts are still stored in small casks, they are the only house that still employs a cooper, who is responsible for repairing 350 casks per year!